Allwood Timber | Our advertising campaign has begun!! Collected our new site banners and couldn’t be happier with the results. It’s amazing how many times you look at the proof before approving but you can’t help but think you’ve missed something!! 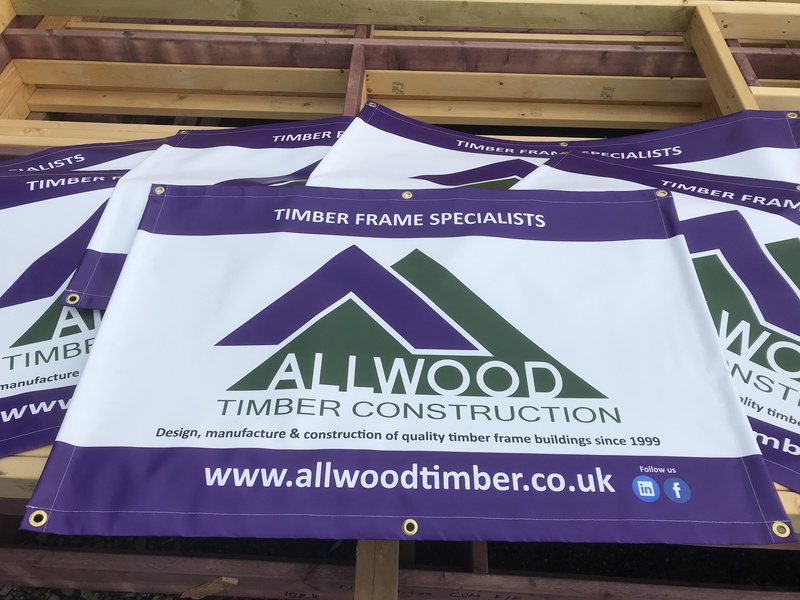 Look out for us across the South West…..
Big thanks to AG Signs in Honiton for your help, really pleased with the service and looking forward to working with you on further promotional products in the near future. Previous Previous post: A surprisingly sociable week in Allwood’s diary! !